River Bluff Middle School students rehearse for their production of "Guys and Dolls JR." The students put on two shows - one on Friday, April 12, and another on Saturday, April 13 - at the Stoughton High School Performing Arts Center. 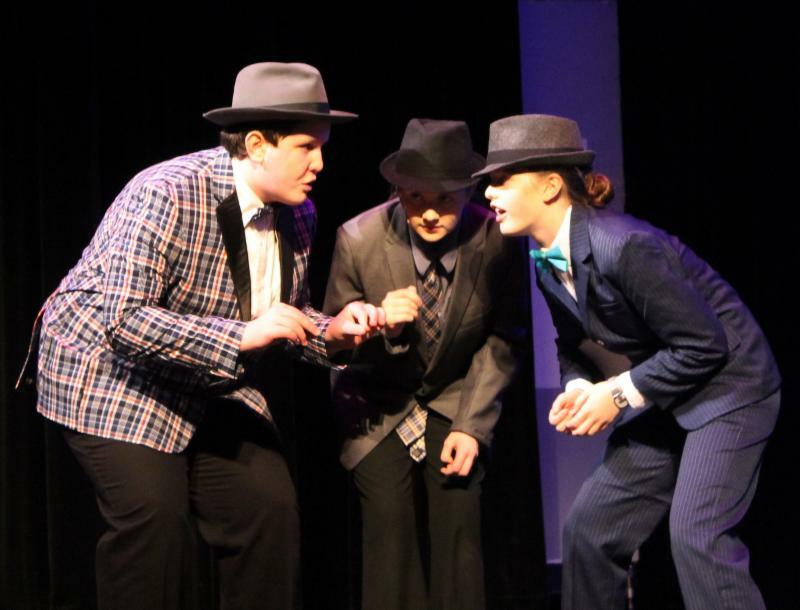 River Bluff Middle School students staged a production of "Guys and Dolls JR." this weekend at the Stoughton High School Performing Arts Center. The production was adapted from the classic musical comedy. Congratulations to the students, staff and families for putting on a great show! Fab Lab Stoughton is featured in the most recent episode of 'WisBusiness.com: The Show,' a bi-monthly web show produced for the Wisconsin Technology Council and WisBusiness.com. The episode explains how a fab lab helps our students go from "the digital world to the real world in a class period," details the community support behind the lab's creation and highlights the skills students acquire by using the technology in the lab. The same episode includes the show's regular feature, Tech Metrics, which "chart key indicators and events in the Wisconsin economy." "The Wisconsin Technology Council is the science and technology adviser to the Governor and the Legislature," according to its website. "Launched in 2001, the Tech Council was created by a bipartisan act of the governor and the Legislature. It is an independent, non-profit and non-partisan board with members from tech companies, venture capital firms, higher education, research institutions, government and law." 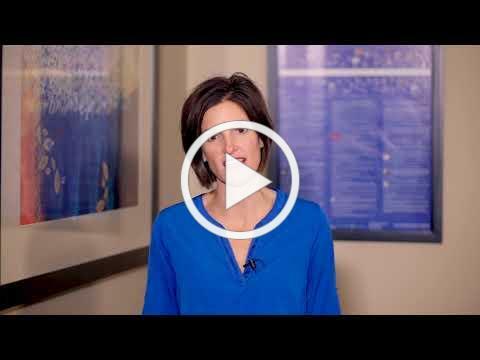 The "WisBusiness.com" show comes out twice a month and focuses on state business news and issues. Last month, Sandhill kicked off a Kindness Revolution to promote values such as dignity, respect and kindness. 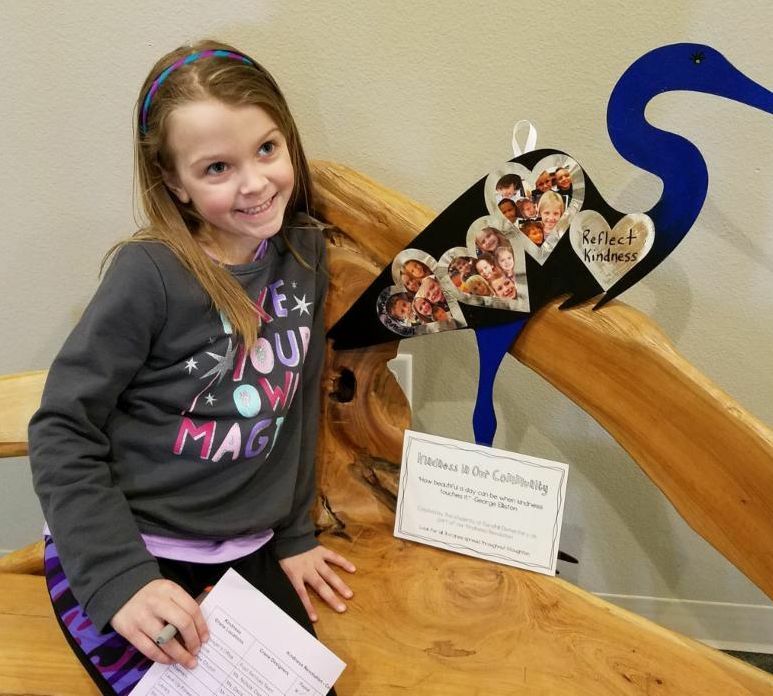 As part of that campaign, the students produced wooden cranes to be placed around Stoughton as a symbol of the school's dedication to spreading kindness. The cranes are accompanied by inspirational quotes. Students placed 30 cranes throughout the community and invited families and community members to tour Stoughton in search of the displays. 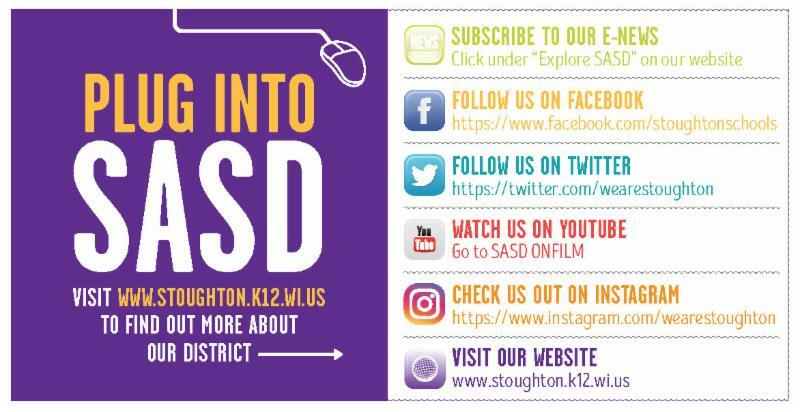 Participants were also encouraged to take pictures of themselves while on their hunt and post them on Facebook or Twitter with the #WeAreStoughton tag. The Kindness Cranes will be on display in the community until April 22. If you would still like to participate in the Kindness Crane scavenger hunt, here is the checklist ! The Kegonsa Library Media Center got a special visitor on March 15 - April the therapy dog! Students from all grades enjoyed reading and relaxing with April and her owners, Edward and Jeanne Schultz. 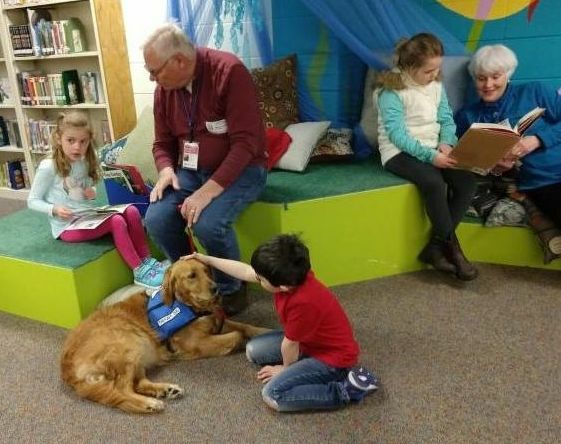 Reading to a therapy dog can be great for developing readers who want to practice their reading skills to a nonjudgmental listener. Kegonsa looks forward to hosting April again this school year. 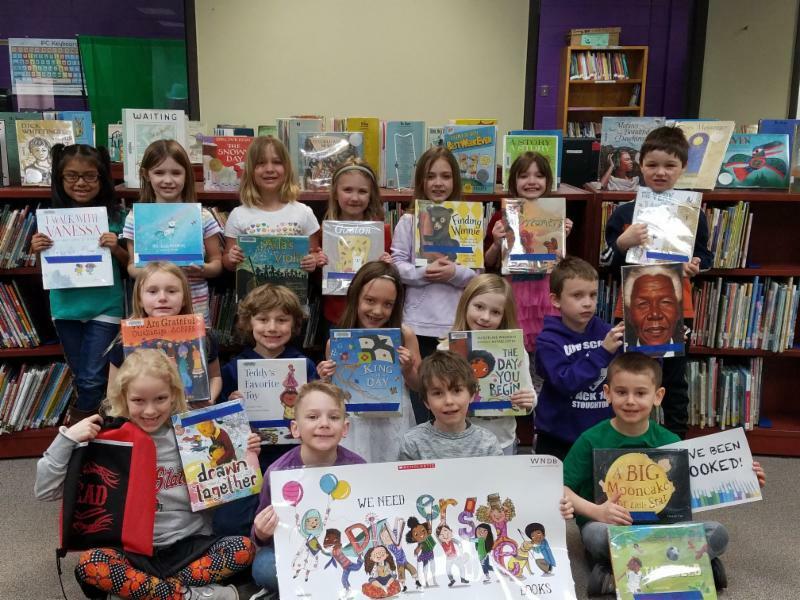 The winning book of Fox Prairie’s March Madness Book Challenge was Jessie Sima’s “Not Quite Narwhal” , a picture book about a young unicorn born under the sea to a family of narwhals. Fox Prairie started last month’s challenge with 16 picture books. Each class received one of the books to start, and as they finished the books, they shared them with other classrooms so those students could also read them. The students then voted on which books would advance through the Tournament of Books bracket in the Library Media Center until “Not Quite Narwhal" emerged as the champion. 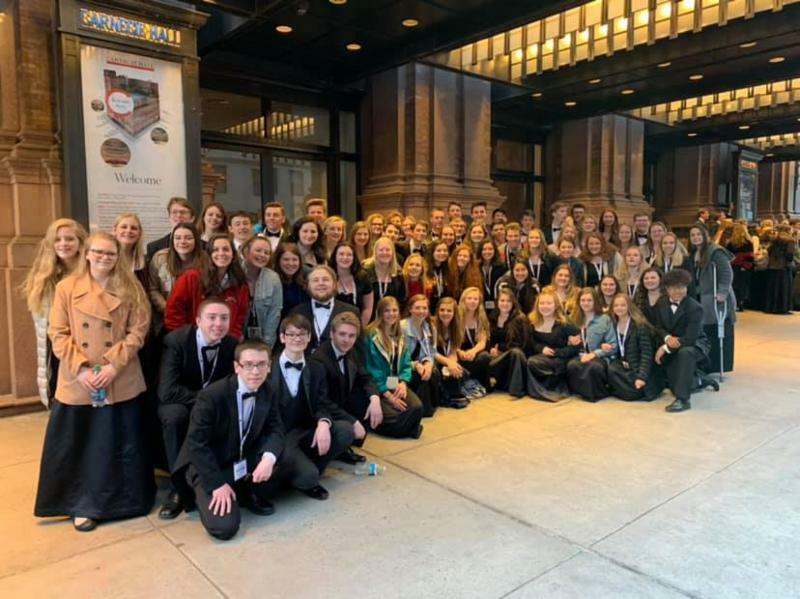 Stoughton High School Choir students performed at Carnegie Hall over Spring Break. ﻿As part of the experience, the students participated in workshops with choirs from across the United States and rehearsed and performed with a guest conductor. The students also were able to visit historical sites such as Ellis Island and attend a Broadway show as part of the trip. 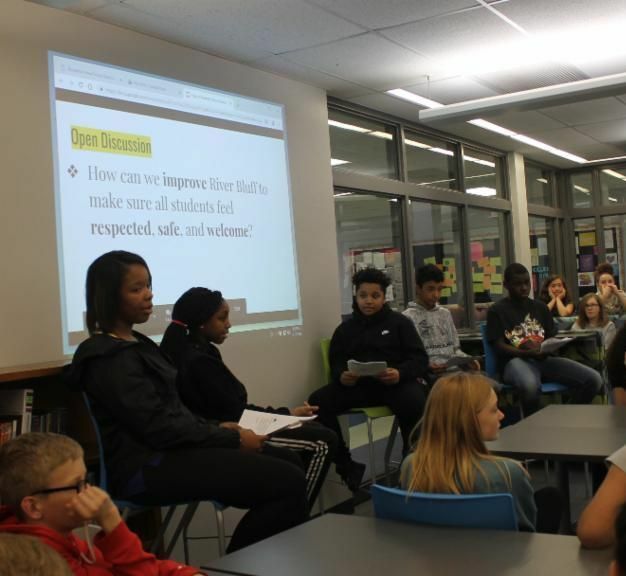 Several students at River Bluff Middle School are spearheading an effort to make all students feel welcome and safe at school. ﻿Nearly 60 students participated in a Diversity Focus Group on Friday, April 12, at the River Bluff Library Media Center. The event was organized by five students who invited other students to come together to talk about inclusion, diversity and equity. The presentation was developed by the students and featured videos; conversations about what inclusion, diversity and equity mean; and discussions about what the school was already doing well to ensure all students feel safe, welcome and respected, and what more it could do. 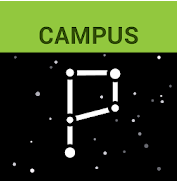 A follow-up survey is planned for all students to gather additional feedback. Shout out to the Stougton High School Forensics Team for capturing four golds, six silvers and six bronze at the State Forensics tournament this past weekend. The annual tournament organized by the Wisconsin High School Forensics Association (WHSFA) took place at the University of Wisconsin-Madison. 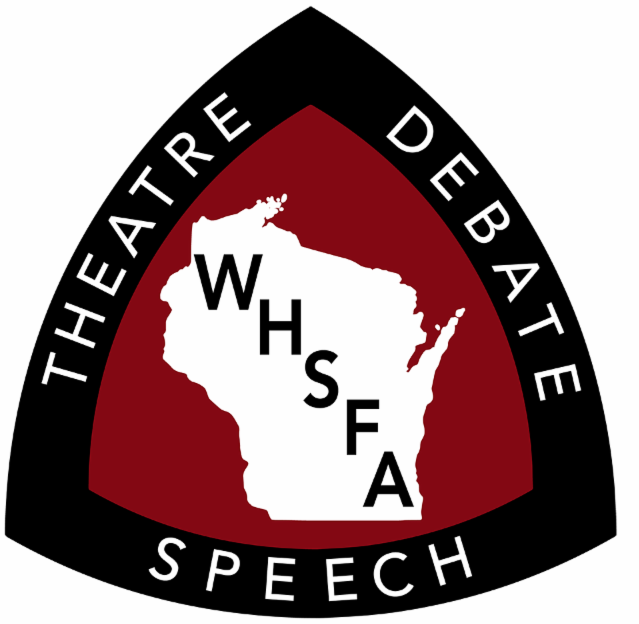 The mission of the WHSFA, according to its website, is t o "provide an opportunity for students in the schools of Wisconsin to enhance communication skills though participation in Theatre, Debate and Speech activities; to promote and encourage cooperation among various communication organizations within Wisconsin; [and] to provide a forum for development of standards, skills and materials for participation in all forensic activities." 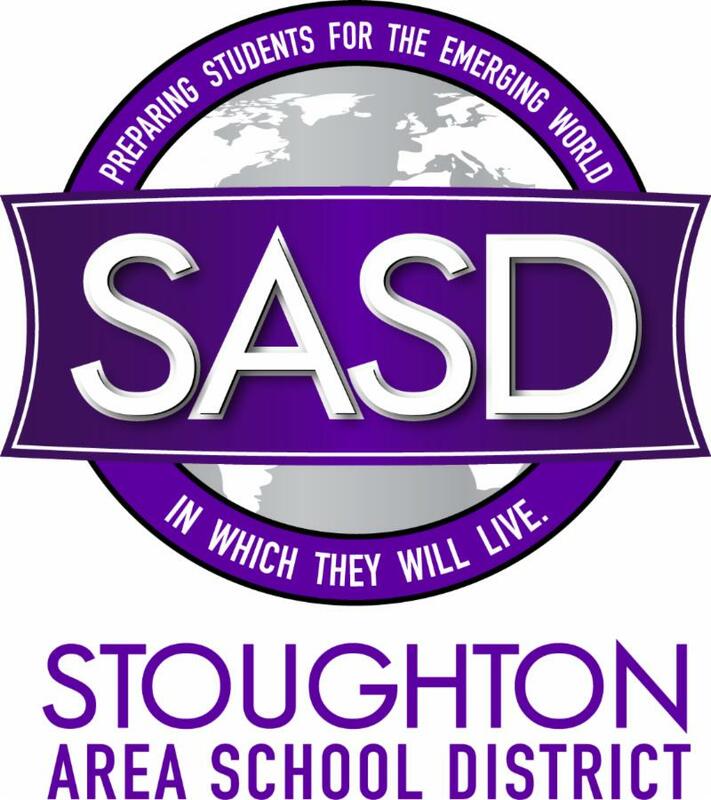 Families, mark your calendars: Central Registration for the Stoughton Area School District will take place from 7 a.m. – 1 p.m. Thursday, August 15, and from 2-8 p.m. Tuesday, August 20. 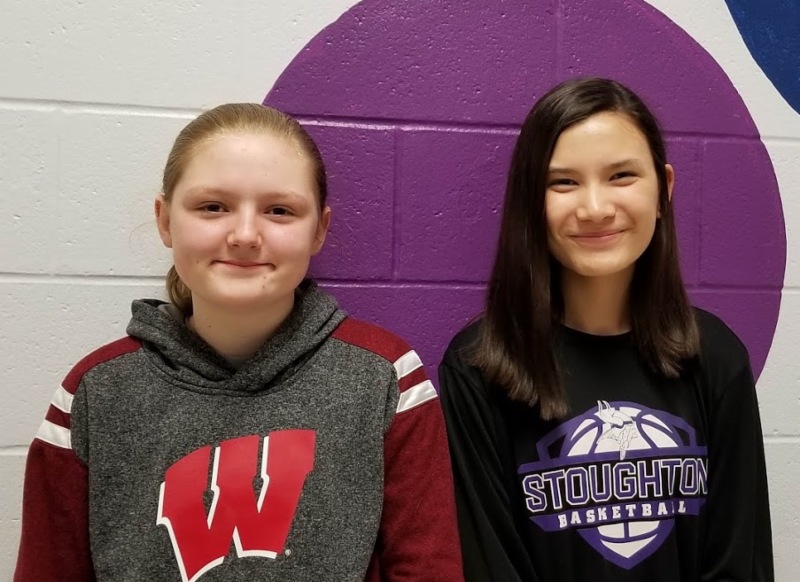 River Bluff is proud to announce that it has two Regional Yahara River Writers competition winners. ﻿Congratulations to Lauren Model and Sophia Nortwen for being Top Ten winners for their editorials! Both students will head to the University of Wisconsin-Madison on May 14 to be recognized for their accomplishments. The Yahara River Writers Anthology Project is a writing and cartooning contest for students in grades 5-8 and is sponsored by the Greater Dane County Advanced Learners Network. Check out the video above to hear staff and students talk about the new Kegonsa Running Club that is available to students in grades 2-5 during first recess. This month, the grade with the most laps will get to play Capture the Flag with Mr. Schultz and Mrs. Dozois. ﻿Promoting student wellness has been a point of emphasis for Kegonsa this year. The school has encouraged students to be active through activities such as running clubs; incorporated opportunities to practice mindfulness during the school day; and asked families to send either non-food items or healthy treats for events such as birthday parties. 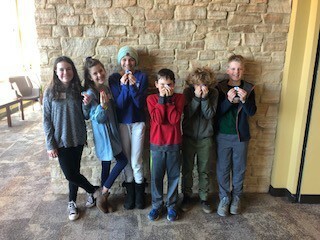 Shout out to Stoughton fifth-graders Andy, Cheyenne, Eli, Brenna, Frances and Pete for all the work they put into practicing for the recent Math 24 competition for students in grades 4-8. Eli also received a high score ribbon for the Stoughton team. Thanks again to Mrs. Heinecke for helping keep score, and thanks to all the teachers who helped teach these students how to play and allowed them extra time for practicing. The competition is based on five versions of the Math 24 card games produced by Suntex. Work with the games fosters basic facts, mental math, problem solving and patterning. Fox Prairie Elementary School will soon be getting a new playground. 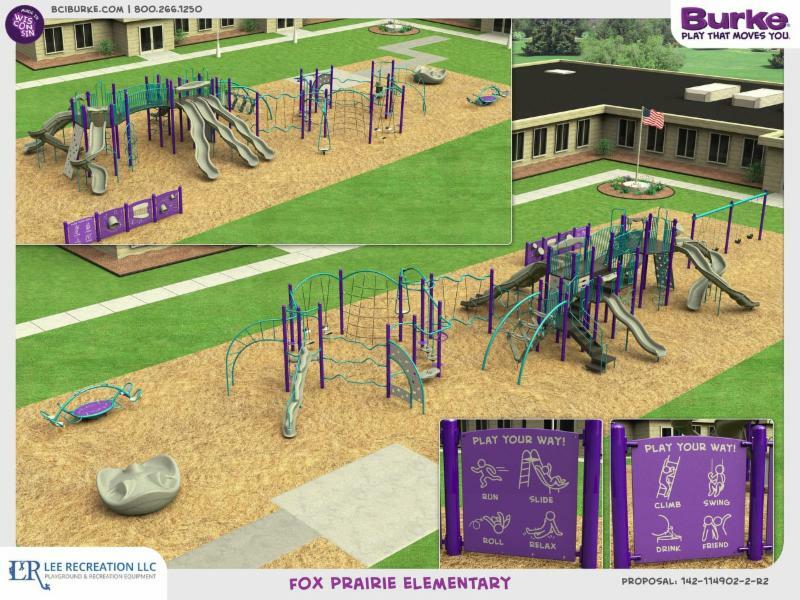 Fox Prairie's Working for Kids and our District have partnered to fund the new playground. Thank you to all who helped with the project. Fox Prairie students voted on the color scheme and worked hard during Fox Trots to help earn funds toward the playground. The new playground will be purple and aqua. Fox is hoping to have the playground installed later this year. 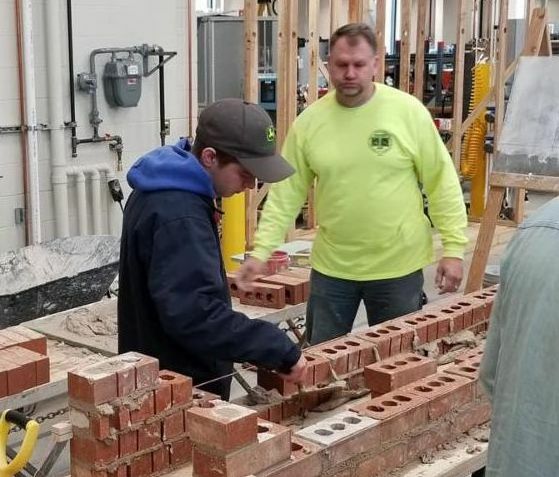 A group of Stoughton High School students recently learned about career opportunities in the construction industry during the Building and Construction Trades Council of South Central Wisconsin “Careers in Construction” event at Steamfitters Local 601's Training Center in Madison. Representatives from various building trade unions were on hand with interactive displays showing students the various trades available to them as well as the qualities and traits that they are looking for in those interested in entering a trade . Sandhill Elementary School's fifth-graders have been researching westward expansion. 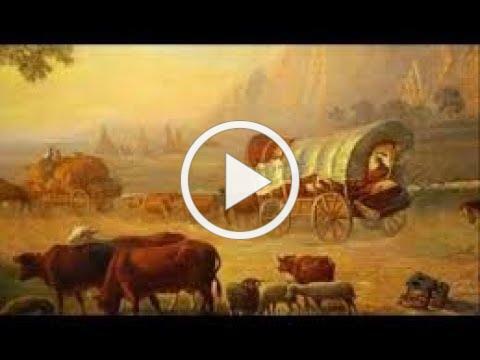 Check out the video above for a glimpse into an Oregon Trail-themed classroom. Stoughton High School’s Student Senate Spirit of Excellence Committee accepted the Regional Award at the Milwaukee Bucks game on Sunday, April 7. 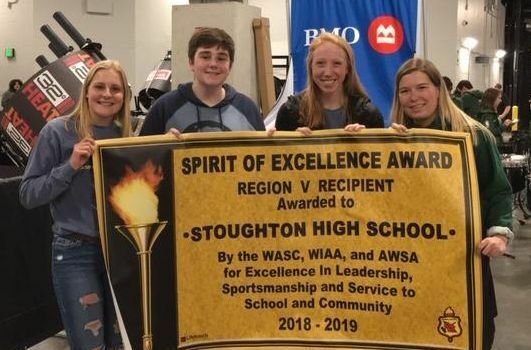 ﻿SHS was named the Region 2 Winner earlier this year for its achievements in leadership development, school spirit, sportsmanship and service to school and community. 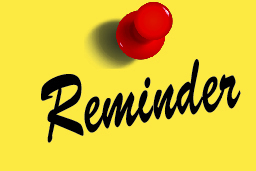 Families, a gentle reminder that to make up instructional time lost due to weather, our District will have school on Monday, June 10. Students should come to school that day as they normally would, and our buses will operate under their normal schedule. Thank you again for your patience, understanding and flexibility. Sandhill is collecting gently worn, used and new shoes to raise money for its playground equipment. The donated shoes help provide shoes to those in need as well money toward Sandhill's playground fund. Sandhill is trying to collect enough shoes to fill 100 bags. 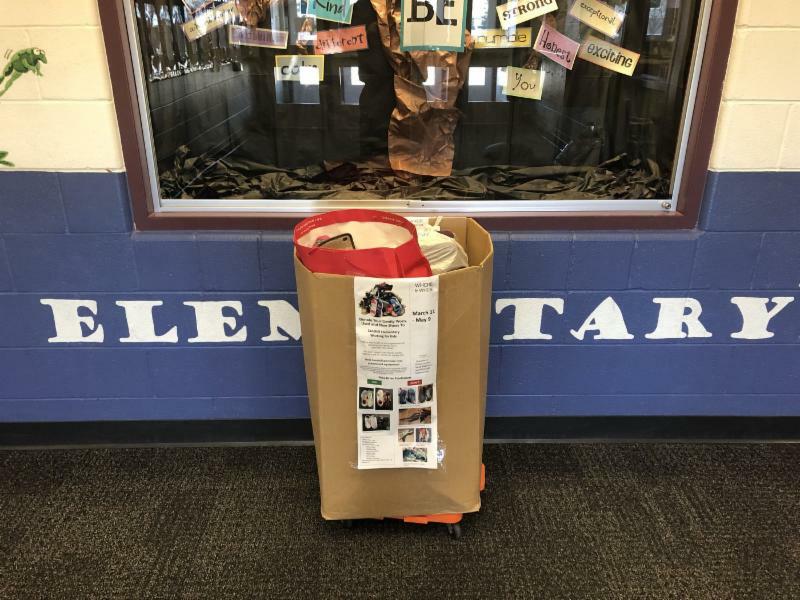 Collection bins are currently located at all three Stoughton elementary schools, Stoughton Public Library and McGlynn's Pharmacy. 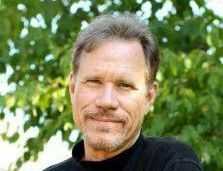 In celebration of Earth Day, Douglas Wood - a uthor, artist, musician, naturalist and wilderness guide - will visit several of our schools on Wednesday (April 17) to present a nature-themed program entitled Earthsongs, EarthStories. The program is filled with songs and stories that Wood draws from his 34 published books and five music CDs.